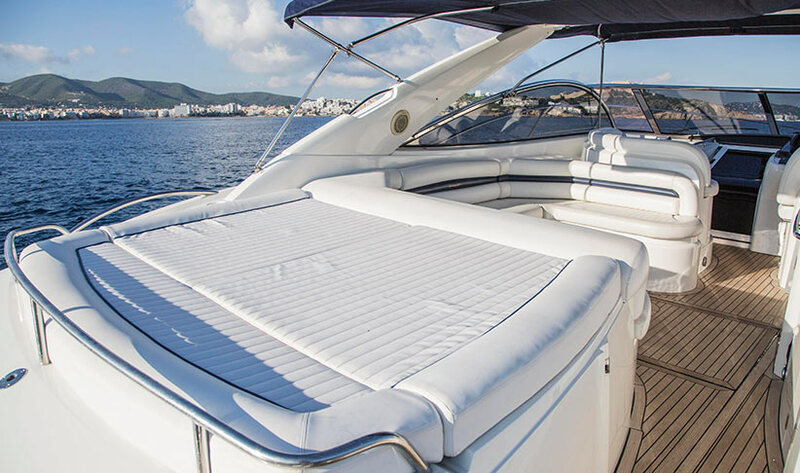 Perfectly located in Marina Botafoch outside the port house, with trendy restaurants, and stunning views of Dalt Vila and the old town of Ibiza. 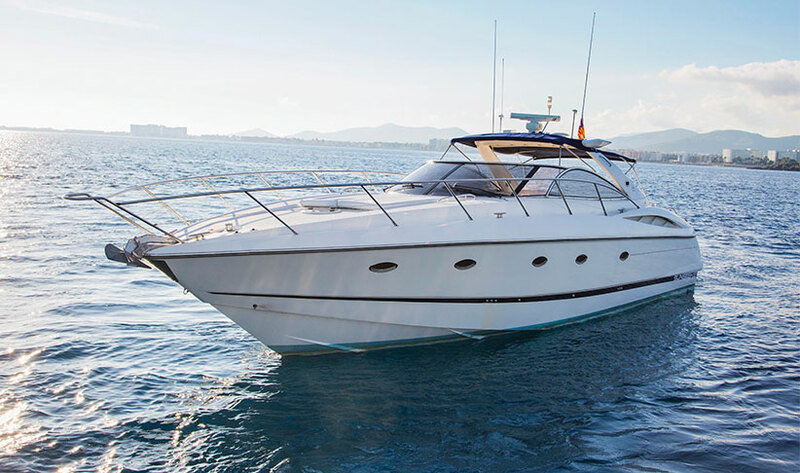 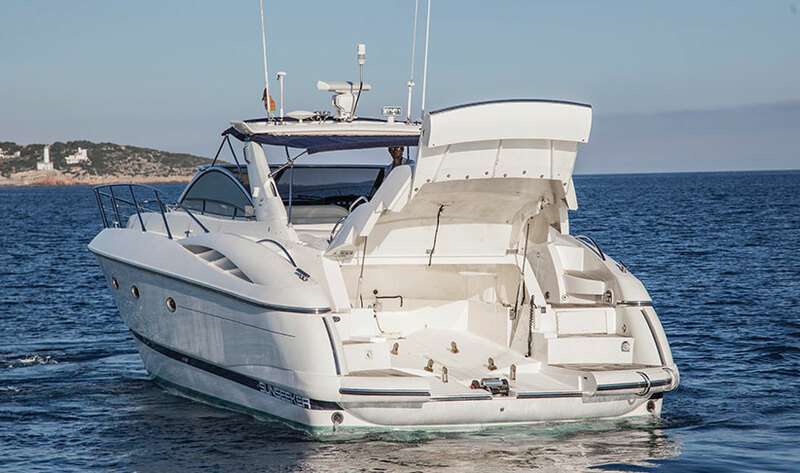 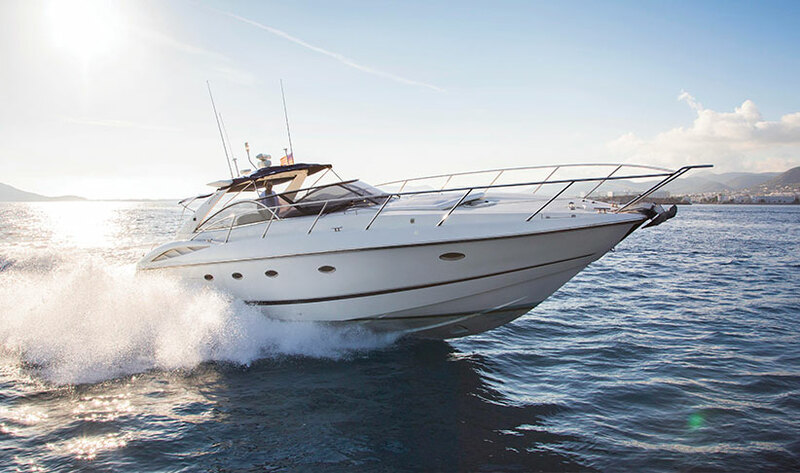 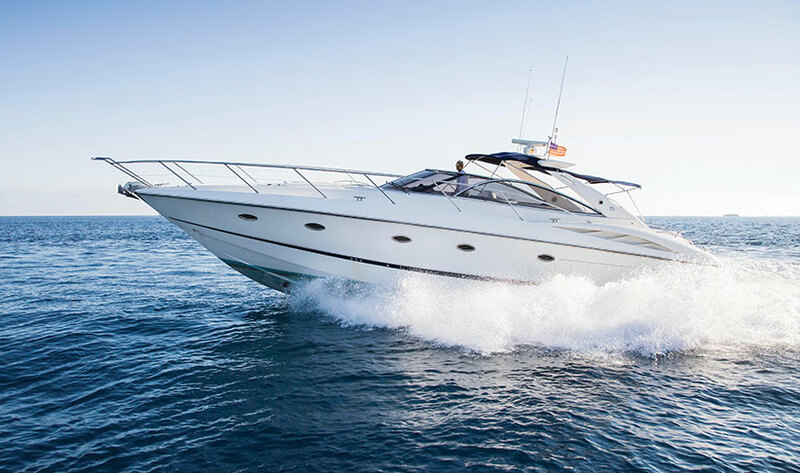 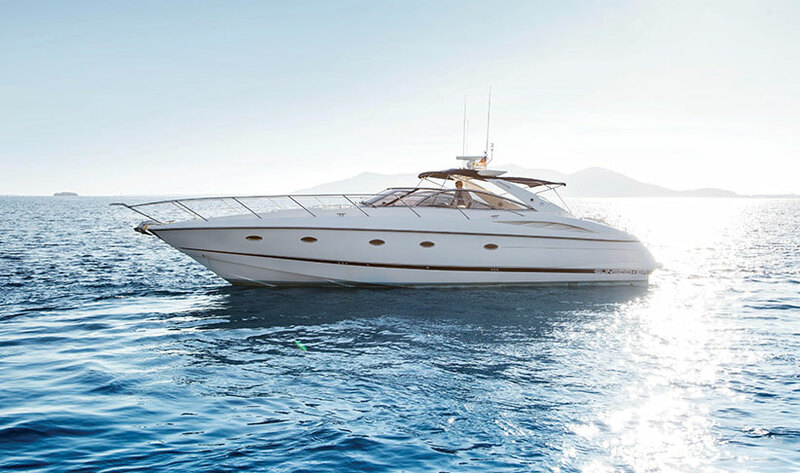 The Sunseeker Camargue 50 is a perfect boat for cruising the shoreline of Ibiza or visiting the paradise island of Formentera. 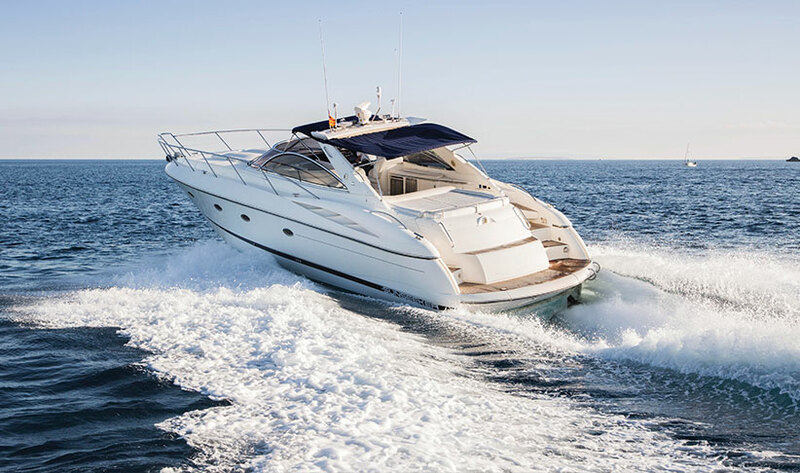 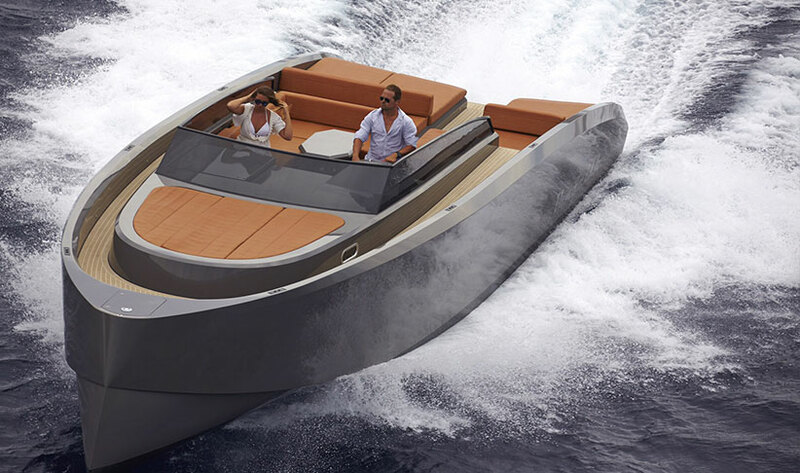 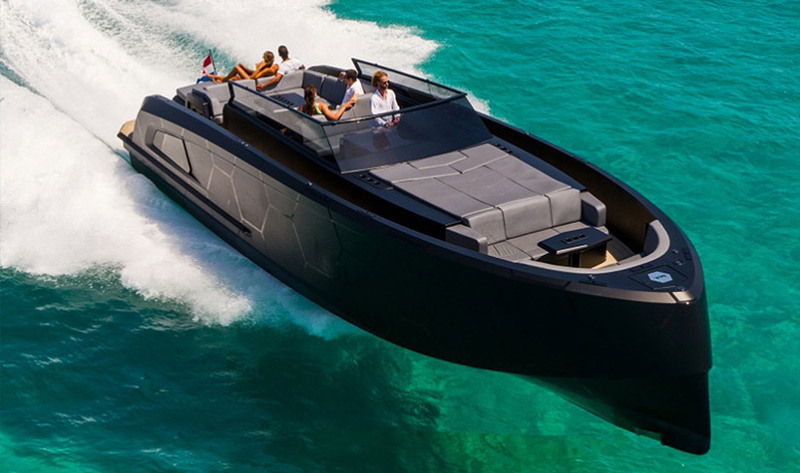 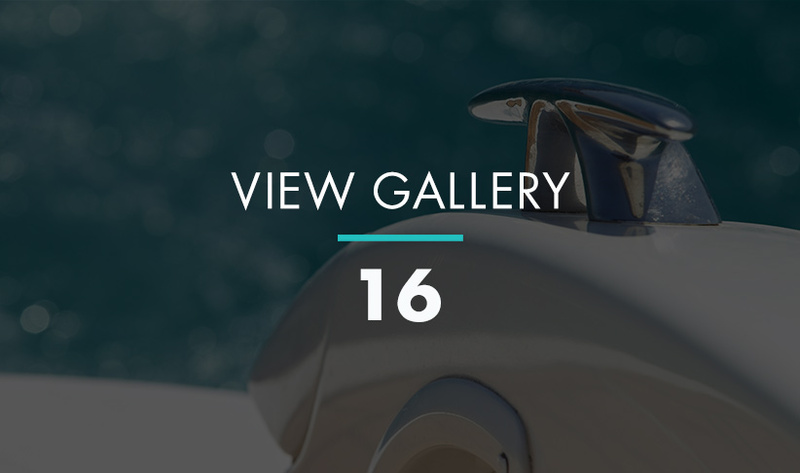 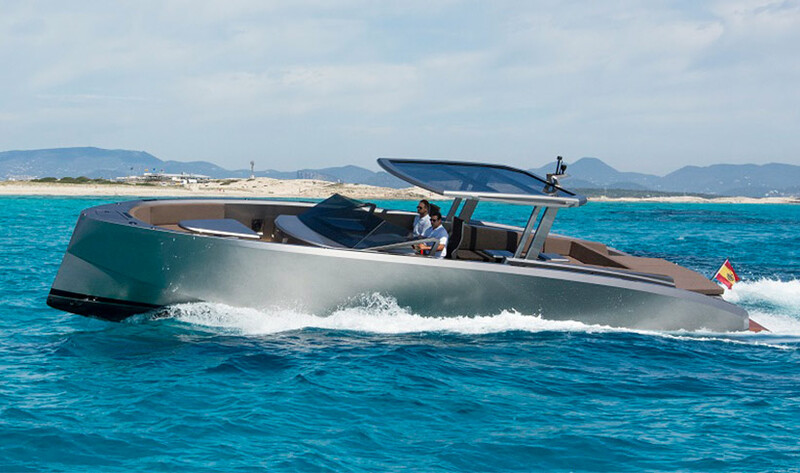 With a cruising speed of 25 knots, and a max speed of 32 knots, this charter boat is no stranger to speed giving a driving force of 1320BHP. 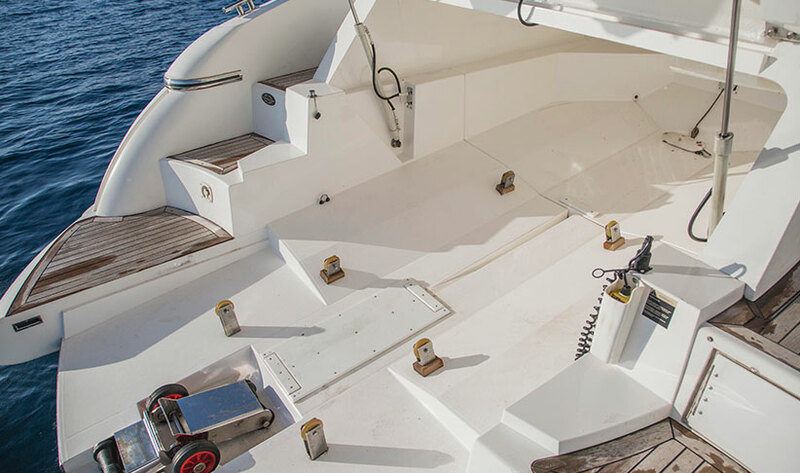 Refit in 2016 with a total overhaul of engines, working mechanics and bodywork. 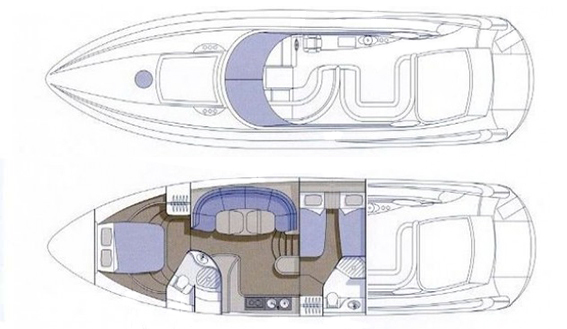 and a total safety refit to achieve the highest standard of MCA safety coding. 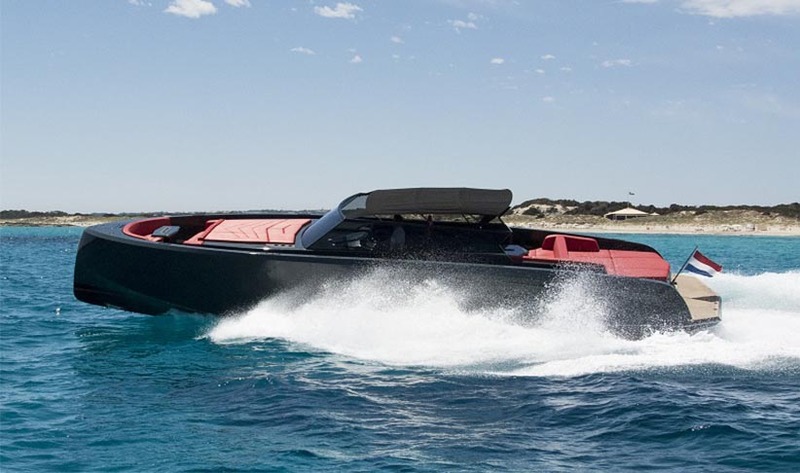 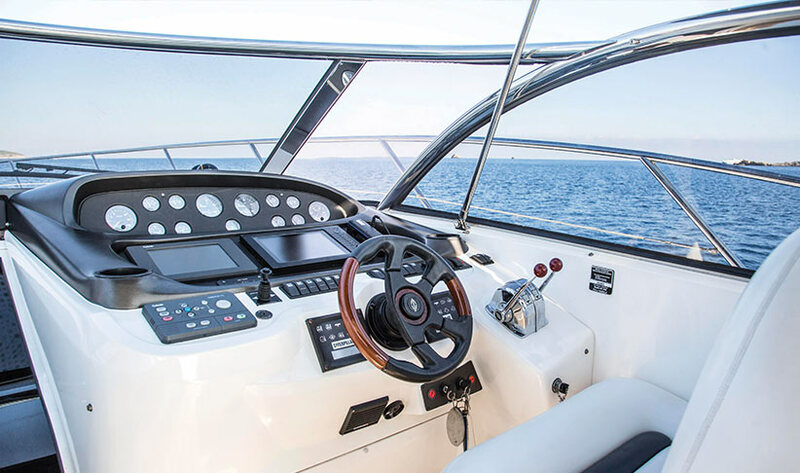 Additionally no expense was spared on modernising all the navigation equipment, replacing and updating with Raymarine's latest 12”eS series hybrid touch plotter, radar, antennas, autopilot and VHF radio. 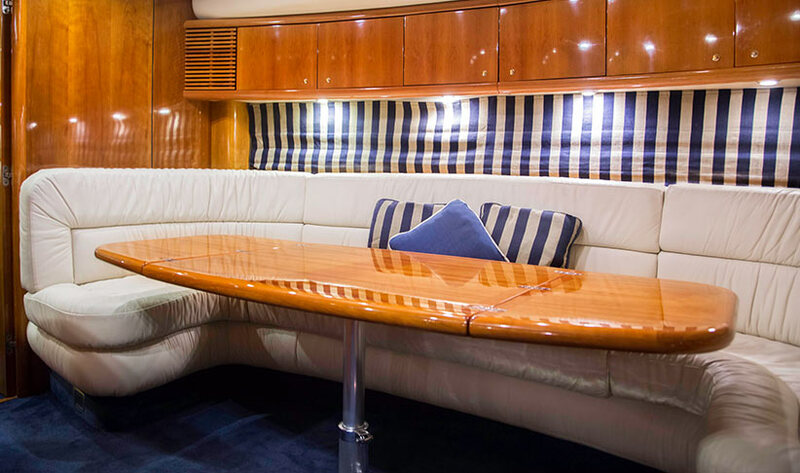 The sound system boasts the new Fusion CD/DVD/USB/Bluetooth stereo system connected to the raymarine plotter, pumping 3000w through the JL subwoofers and speakers placed throughout the boat for an amazingly clarity of sound, while the blue and white lights on its deck head salon and blue underwater lights create the most incredible ambient glow in the evenings. 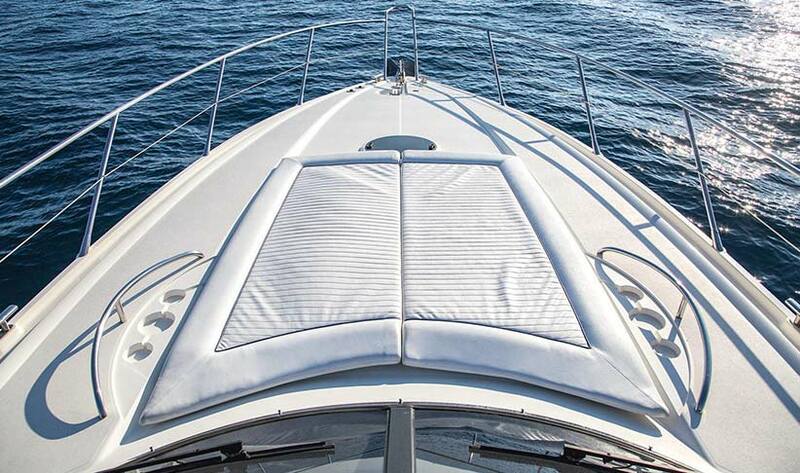 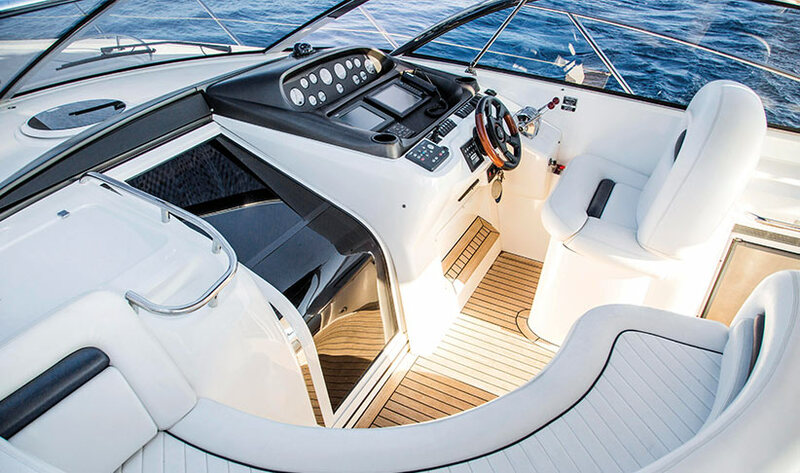 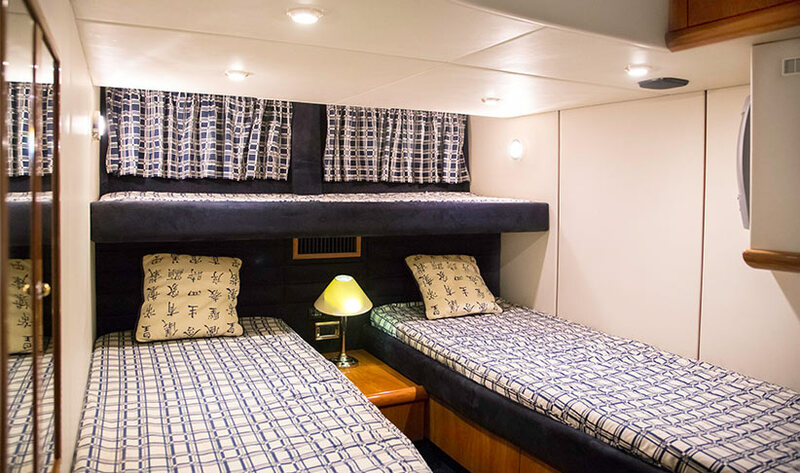 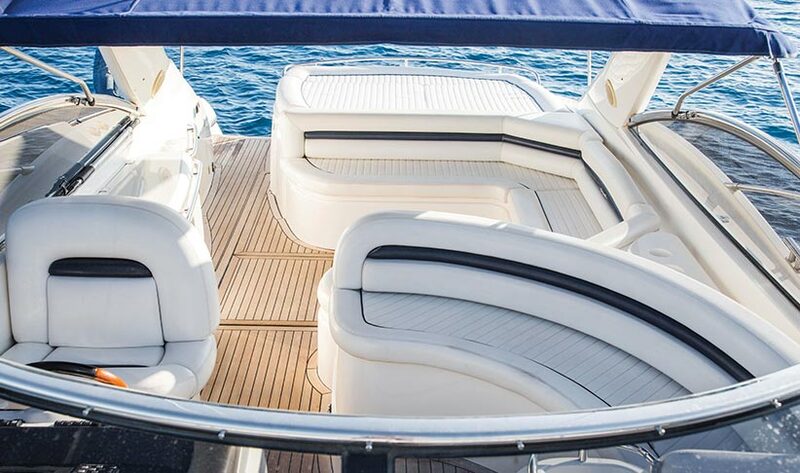 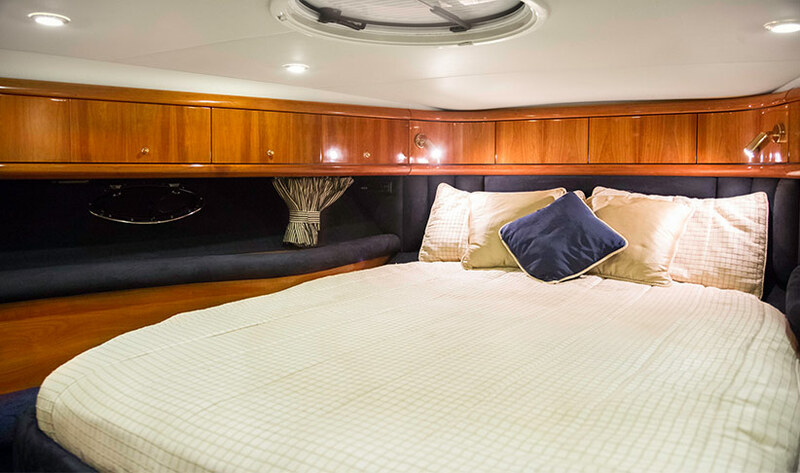 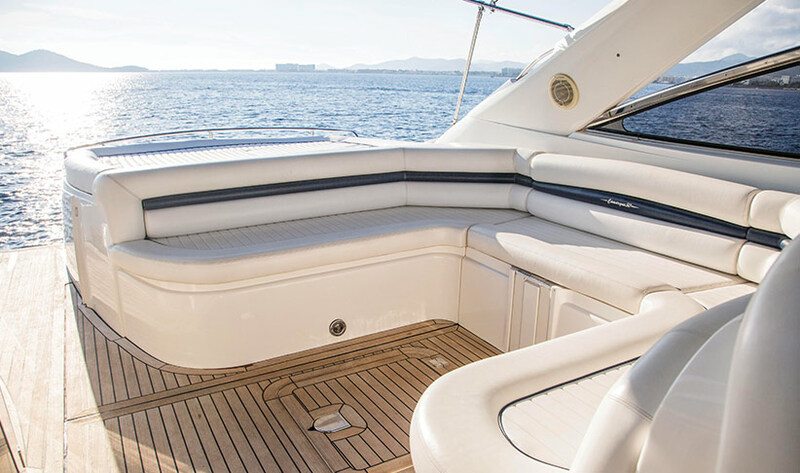 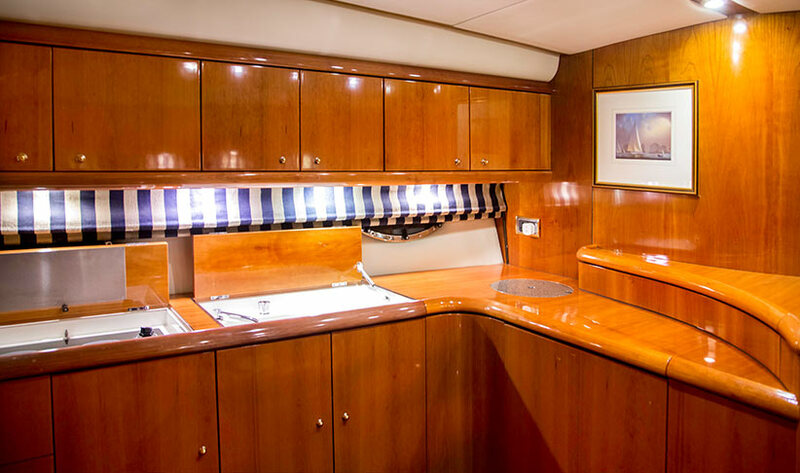 With its sunbathing areas on the fore and rear decks, shaded seating arranged around the centre of the boat and also by the helm there are plenty of areas to enjoy your time on board, be it sunbathing, chatting, dining or simply enjoying.